Film and TV writers are ready to take to the picket line next week, voting overwhelmingly to give their union leaders the authority to call a strike if this week’s final round of bargaining fails to produce a contract. The strike authorization was approved by 96.3% of the 6,310 writers who cast ballots, according to the Writers Guild of America (WGA), a record 67.5% of eligible WGA members. A strike, if it comes to that, can’t begin until midnight May 1, 2017 when the current film and TV contract expires. The WGA’s last strike, launched in 2007, lasted 100 days. That authorization vote was approved by 90% of voters. A strike can still be averted if the WGA and management’s Alliance Of Motion Picture & Television Producers can work out a deal this week. 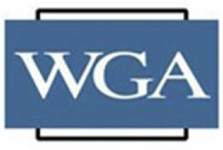 The talks, which took a two-week hiatus to allow the WGA East and WGA West to poll their members on strike authorization, resume tomorrow and are expected to continue throughout the week and possibly into the weekend, if necessary. It’s also possible the strike deadline could be extended if the two sides think they’re close to a deal.